Getting Around the Island Has Never Been Easier! When planning your next trip to Martha’s Vineyard, you want to work with a company that takes care of the details, so you can focus on the fun! A-A Island Auto Rental makes it simple and convenient to travel in style. We offer a wide selection of affordable rental vehicles to suit your vacation needs. Traveling with kids? Check out our SUVs, minivans and four-door sedans. Just you and your significant other? Try a sporty convertible, before the weather gets cooler. No matter what you’re looking for, we can accommodate you. 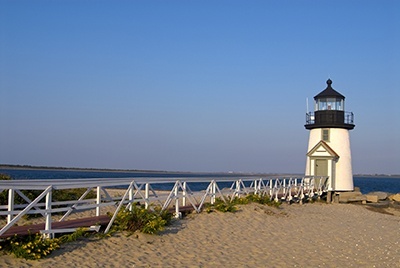 Martha’s Vineyard consists of six different towns—a larger island than Nantucket. If you want to explore the attractions in Edgartown and Oak Bluffs, but are also going sight-seeing in West Tisbury and more rural, “up-island” towns, you’ll want reliable, comfortable transportation. Touring the natural, scenic beauty and lighthouses up and down the coast requires taking back roads to fully see it all. In the cooler seasons, hiking and biking may not be the best option, not only because of distance, but if the weather doesn’t cooperate. A cool, drizzly day can be very romantic, as long as you’re enjoying it from the comfort of your vehicle! Renting a car is a much easier option. After all, vacations can be stressful. Sometimes there’s a lot to coordinate. If you pick up your rental car right when you get off the ferry, it’s much simpler than the hassle of taking your own car over on the ferry. What’s more, there is limited availability on the ferry, so you may have to leave your car anyway. If you want to bring your car over, you must reserve a space for it on the ferry ahead of time, and there’s a waiting list. Or you can avoid all the stress and simply rent a car for the duration of your stay on the island. How long can you rent a car on Martha’s Vineyard? A-A Island Auto Rental offers the flexibility you want when you’re on vacation. You’ll enjoy low rates for daily, weekly or monthly rentals. Even if you just want to tour the island for a day, we offer complimentary pick-up at all of the inns and hotels in Edgartown, Oak Bluffs and Vineyard Haven. Please note: Whether you rent for a couple of hours or a full 24 hours, the daily rental rate will be the same. What should I know before renting a vehicle? Be sure to have the necessary documents when you secure your rental. These include: a valid driver’s license, a major credit card in your name, and you must be at least 23 years old. Additional drivers who are at least 23 years old can be added at no extra charge. Contact us at 800-627-6333 or make your reservation online and talk to our friendly staff, who are available to help you with any further questions you may have. A-A Island Auto Rental has a location in Oak Bluffs and Vineyard Haven within walking distance from each ferry. We’ve also added a location in Edgartown as a pick-up and drop-off location at 196 Main Street. If you’re arriving by plane instead of a ferry, we offer complimentary pick-up service at the Martha’s Vineyard Airport. No matter what the season, we’ll help you get around the island with ease, so you can enjoy a hassle-free, fun vacation! Check out our hours of operation and a complete list of “fast ferry” services on our website. A-A Island Auto Rental has been serving visitors to Martha’s Vineyard for more than 18 years. Contact us today!